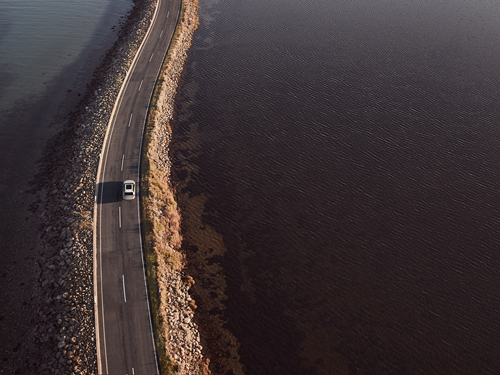 2016 – Volvo V90 on “Langøre-dæmningen” connecting the peninsula Helnæs with the island Fyn in Denmark. 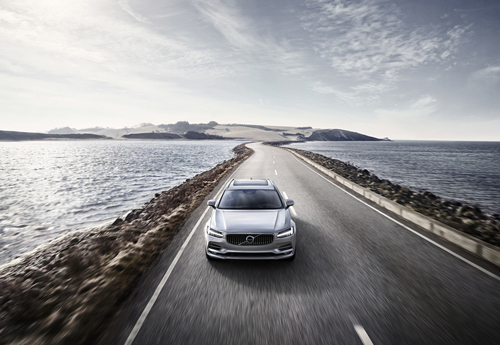 2017 – Volvo XC60 on “Langøre-dæmningen” connecting the peninsula Helnæs with the island Fyn in Denmark. 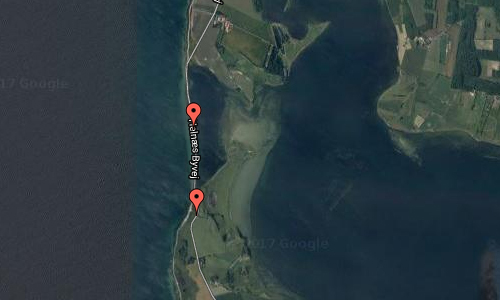 Langøre-dæmningen or Helnæs Byvej as the road is named, connects the peninsula Helnæs with the island Fyn in Ebberup, Denmark. 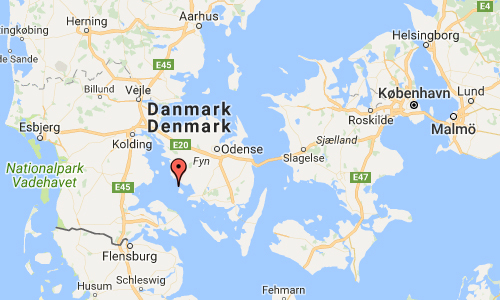 Helnæs is an island on the southwestern coast of Funen, Denmark, southwest of Haarby and northwest of Faaborg. It belongs administratively to Assens Municipality and is connected to the town of Assens by road to the north. Between Helnæs and the main island of Funen is Helnæs Bay, which contains the sprawling islands of Illumø, Horsehoved and Vigø to the southeast. 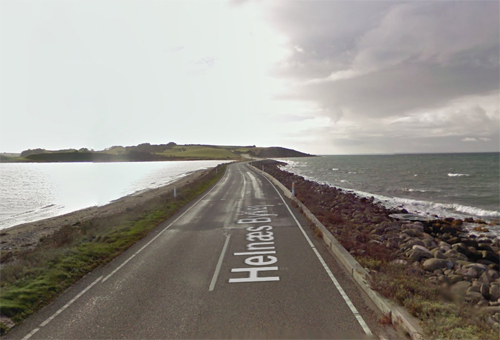 The principal settlement of Helnæs lies on the southeast coast, and contains the camping site Helnæs Camping to the north of it, although the historical village of Helnæs By is further to the north, inland. The highest point of the island is Galgebakke, at 8.8 m.
There is a runestone on the island, known as the Helnæs Runestone. The 28 metres high Helnæs Lighthouse was completed in 1901. 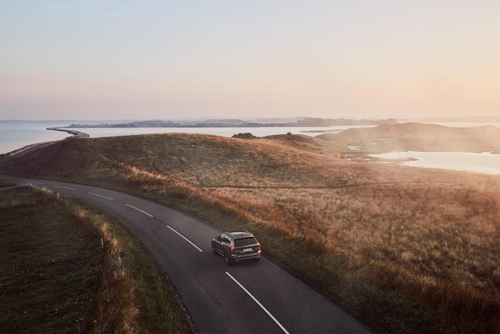 Helnæs is a fascinating peninsula to visit, with its magnificent scenery, active cultural and artistic life, and interesting past, offering a wealth of things to explore and see. 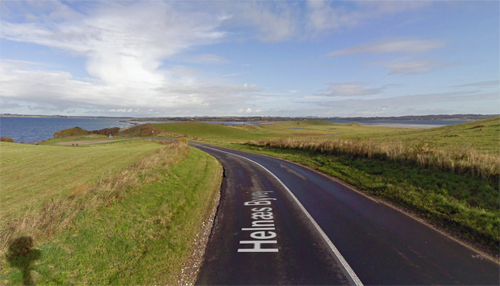 Helnæs has been inhabited since the Stone Age. Five burial mounds dominate the landscape in the hills south of Maden. Helnæs is first mentioned in historical records in 1231 as “Hælghænæs” (sacred promontory). 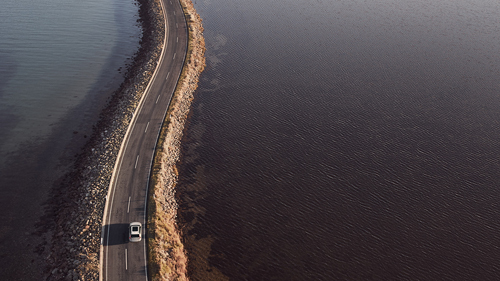 Take the narrow road out to Helnæs and encounter this impressive landscape. Just after the road to Helnæs, the hills, Bobakkerne, rise up like a giant embankment, which is blanketed with colourful flowers in summer. This pastureland is open to walkers as the Danish Nature Agency has purchased the area. Further south on Helnæs, is the huge meadowland, Maden, west of the town of Helnæs. Almost 300 hectares of meadows and fields lie behind the beach ridges along the Little Belt. The Danish Nature Agency has purchased some of the areas and, together with Funen County, is in the process of improving the nature and access to the areas. Just after the road out to Helnæs, the hills, Bobakkerne, rise up like a giant embankment, which is blanketed with colourful flowers in summer. This pastureland is open to hikers as the Danish Nature Agency has purchased the area. The Helnæs peninsula is about 20km south-east of Assens. More information at en.wikipedia.org and www.visitdenmark.com. Thanks to Søren Steen Andersen, mayor of Assens Kommune for finding this location!